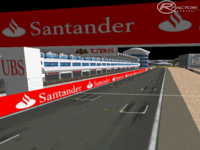 There are currently no setups for Llanwern International Circuit. Add a Setup. Pacific Raceways is a mixed-use road racing facility near Kent, Washington. The race track was constructed in 1959 and opened in 1960. The track was originally named Pacific Raceways, then became known as Seattle International Raceways in 1976. Whenever 1 polygon(triangle) of an object is in view, a graphics card has to check every other polygon in that object to see whether they're in view as well. And it has to that for every frame before it gets rendered. Your track surface is 1 object of just over 9000 polygons, only 10-15% of which will ever be on screen at any given time. You should break it up into 9 or 10 visible chunks. Hello. My nickname is wizard2275 I want to ask for permission, to convert your track Llanwern International Circuit 1.10 , to F1C old game. I will understand, if don't want to give me permission. Thanks you very much in advance. Regards. Look for the texture that is shown blurry. Look for MIP Bias. Make it -3 or -4. Always prevent objects of being in the line of the camera shot. Think estatic. No cameras right above the track. Try to prevent gaps showing up on camera shots. Here you can see right through the track. This happens at several points at the track. Try to make the corners being more smooth. Open Edit track surface properties. Go to one of the particular corners to be worked on. CTRL Left click on the track before and after the corner. You create two cross sections. Select the first cross section. Here you see a computer controled car cut a corner and go straight through a wall. I will give a simple explanation how i set up the AIW file. Go to Edit Start Finish positions>driveline>Append Track when needed. Green: This should exactly the widht of the track. Red: This is the part of the track in when a car hits an object or wall it goes straight trough it. You can alter these lines in only the 3d map. Press key "3"
So the key to succes here is to keep the red lines always between walls. The Fastline: The Fastline is the racing line. It should be the fastest line around the track. To get an easy working fastline i always use walls to "draw" the fastline on the track. Use the "panel length at 2.00" to make the walls smooth. It is fast and easy. Now go to Edit start/finish positions and go to fastline. In both maps you still see the walls. Place the nodes of the fastline exactly over the walls. When done remove the walls. 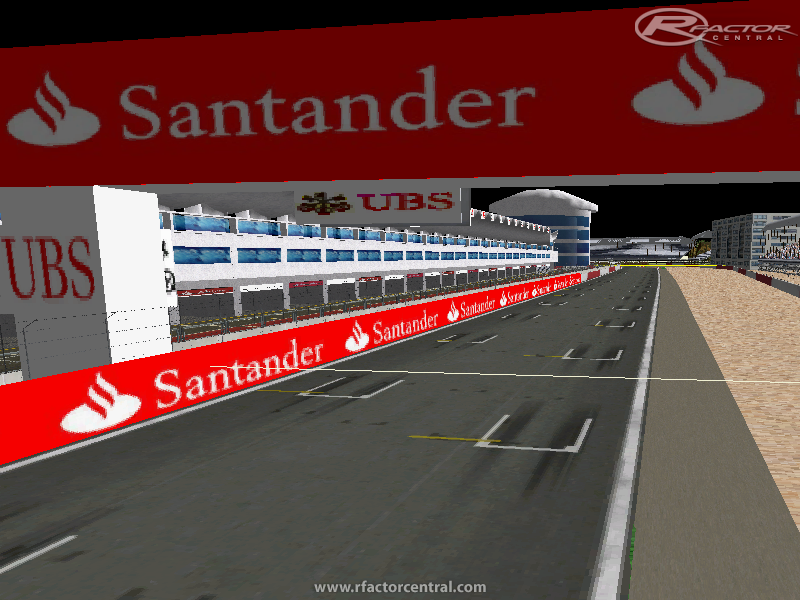 The AIW-files shows that the track is: 5.68 km lap_length=5683.553. And thus it would not replace Spa Francorchamps as longest track. Race laps: F1 rule 305 km / lap lenght is number of laps. Here 305/5.68= 54 laps. race starts most of the time at 14.00h. Latitude=52 (Llanwern is positioned at 51.57201°N 2.91331°W so 52. When you did not alter the north of the track the North Direction is "0"
Fuel use= 5683.553 x 16= 90936.848. You can fine tune it later. It gives a small haze to the track.